Bump N Grind Cafe had a second baby and I was invited to the baby shower! 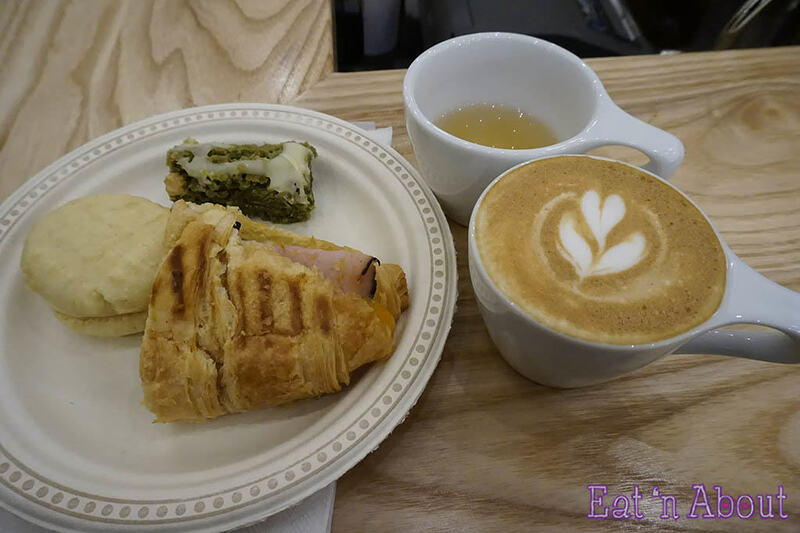 It was actually a grand opening media event for their brand new South Granville location and I was extended an invite to try their goodies and have a one-night only signature drink. 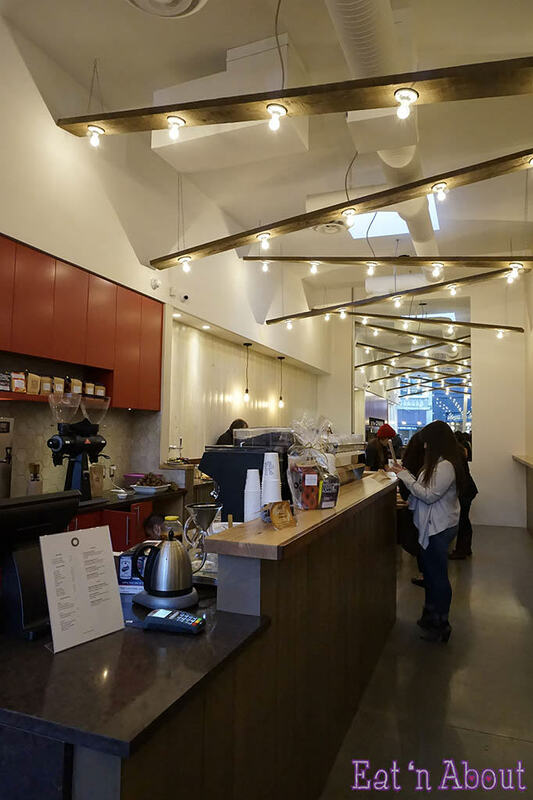 This is the second location for husband and wife team Kyle and Cheryl Wright, who aims to bring in a coffeehouse to the area serving locally roasted beans and other products. All baking and pastries are done in-house. 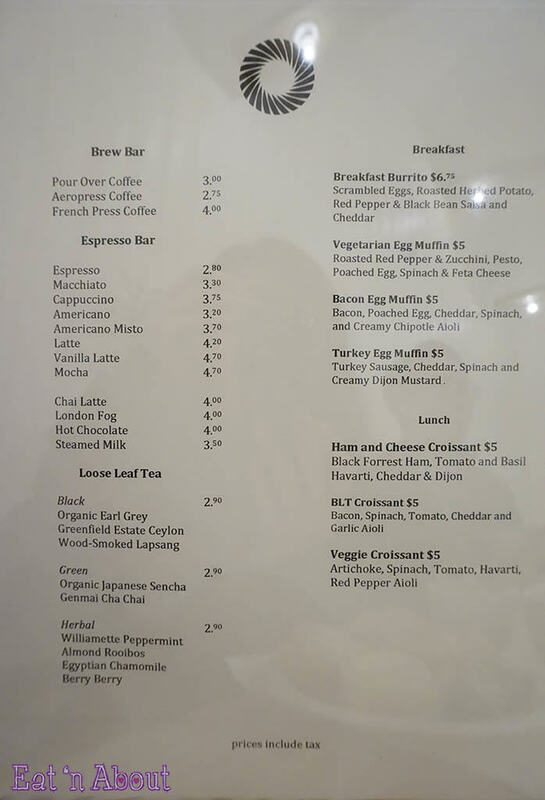 They rotate their selection of Canadian-roasted coffee beans on a weekly basis so there’s always something new to try. I must say the space was very inviting and comforting. Really love how the lighting was laid out. There’s some sitting room in the front and a bit more in the back. But tonight that area was cleared out for the live entertainment and the table of goodies. And boy were there lots of goodies. 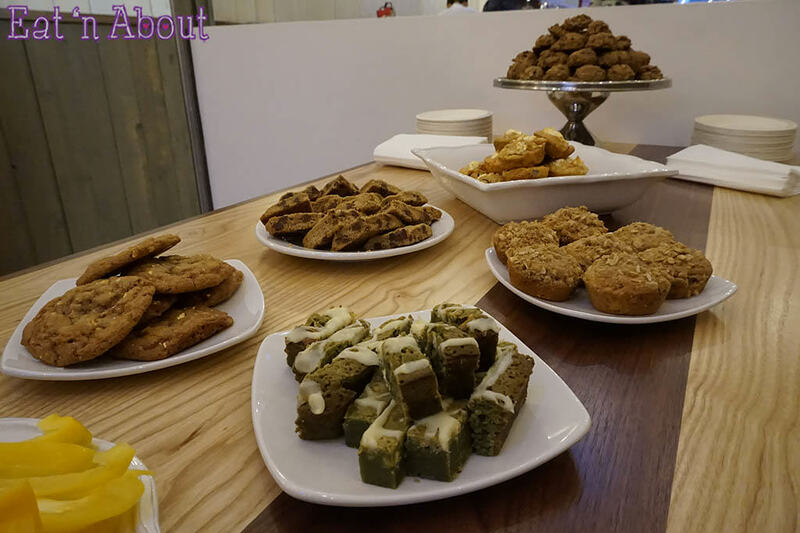 Amongst the choices were their signature vegan “Mookies” (a cross between a muffin and a cookie), a caramel popcorn cookie (yep. That’s a cookie with crushed caramel popcorn pieces), and my favorite of the night- the Matcha Brownie. Man was that yummy. It was moist and very matcha-y. I ate so many of those oh my god. I really like the fact that their baked goods aren’t massed produced and pre-packaged like a few other popular coffeehouses. This ensures freshness and I really hope Bump N Grind will keep on working that way. On to the drinks! The first drink I had was the Duetto. It was basically an espresso macchiatto served with a side of maple rye. The sweetness of the rye was meant to cut the sharpness of the espresso. A little later, we were served the signature drink of the night- the Toasted Almond Gibraltar. 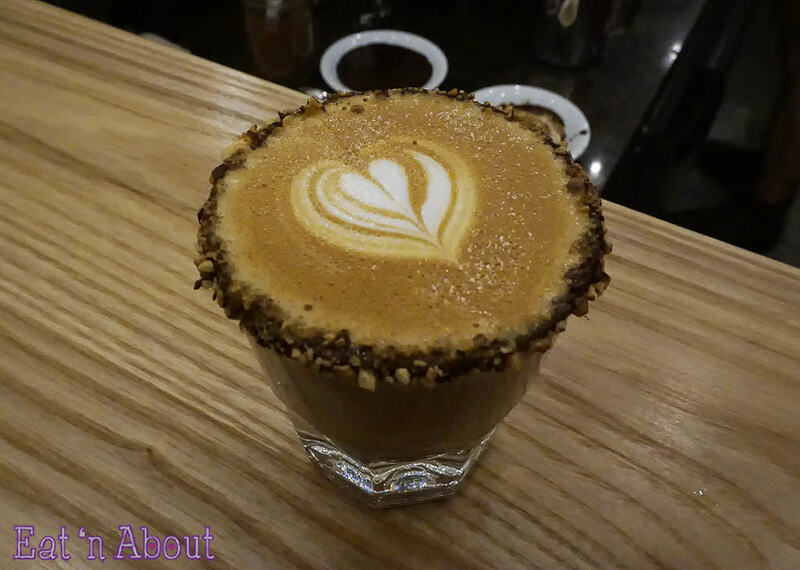 It’s Cheryl Wright creation of a gibraltar rimmed with toasted almonds and chocolate sauce. Unfortunately though, this won’t be on their regular menu. You could still order a gibraltar though. 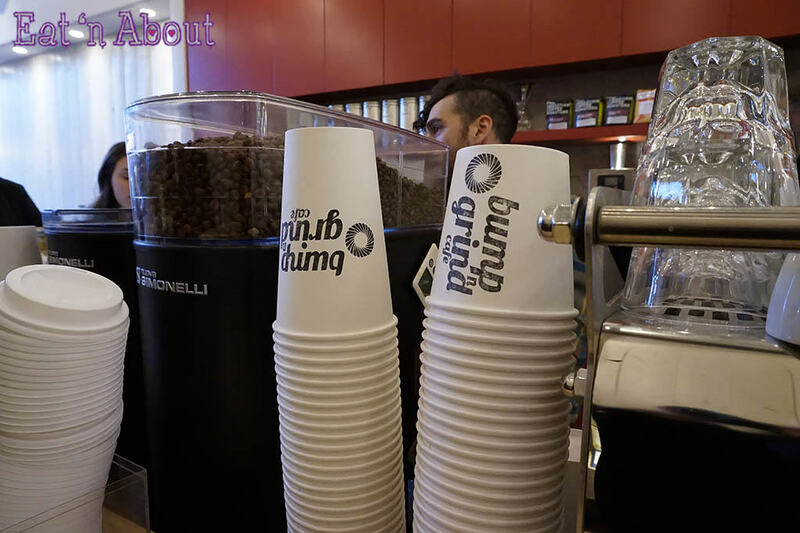 The new Bump N Grind Cafe is such a lovely space, and the energy the staff brings to the table is sure to rev you up, that is, if their many choices of caffeine kick doesn’t do that for you already. 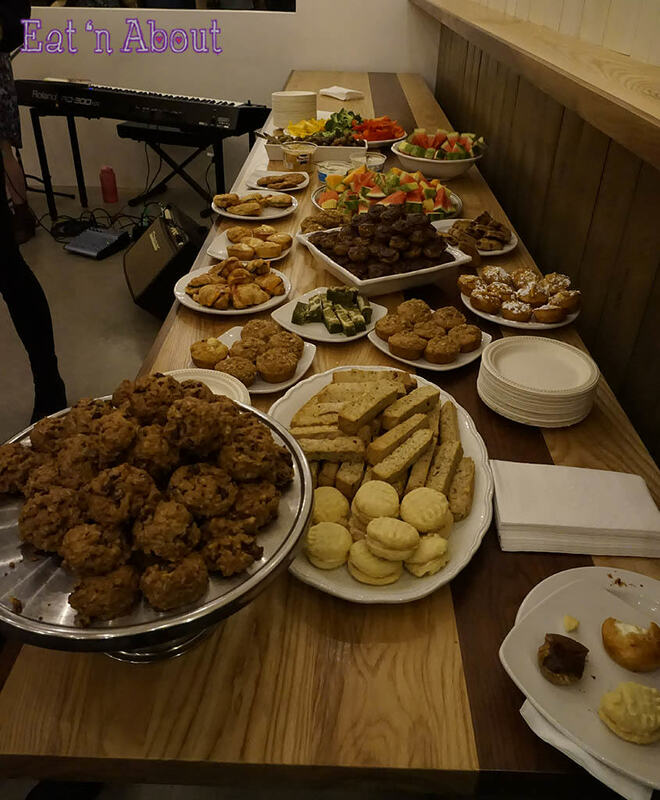 Disclaimer: The food and drinks were provided free of charge at the event. All opinions are solely my own.